When I was a child, my favorite playground activity was the swings. And when I was older it was the seesaw or teeter-totter (my obsession began at age 11 on my 6th grade camping trip). I am so disappointed that seesaws have gone by the wayside! I used to be able to turn around and do all sorts of tricks. But I digress... I am so happy that Dova loves the swings as much as I do, but she is far more adventurous when it comes to them. 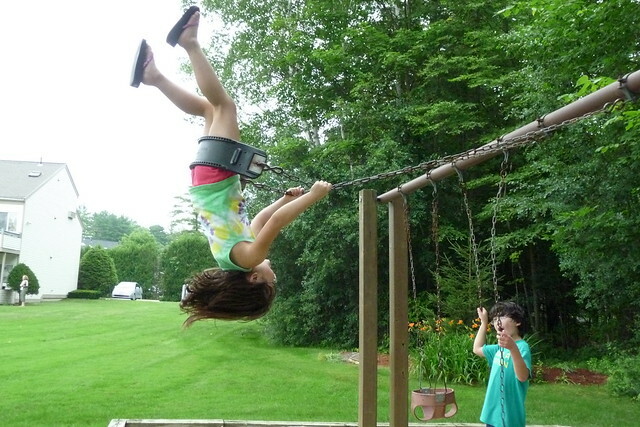 Not only does she jump off the swings, check out this incredible position. The chains were nearly horizontal, she was completely upside down! Even Adam looked impressed. I tried it myself and could barely get my body horizontal looking behind me, let alone vertically upside down, looking at the ground. Not to be outdone, Adam gave extreme swinging a try. Oh yeah, he saw the ground all right. This was from a boy that refuses to ride rollercoasters. 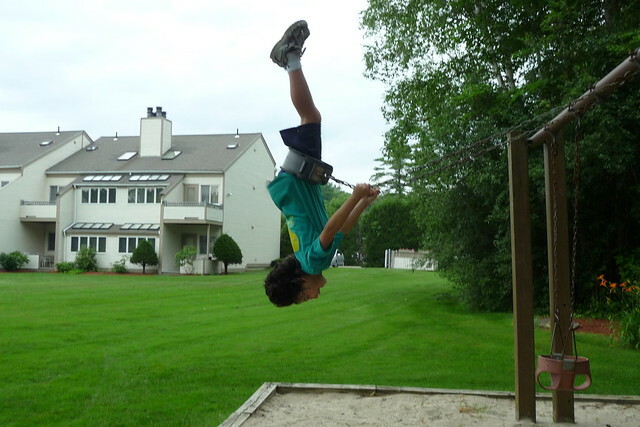 But wait, I gave them one more challenge of swinging upside down at the same time. Success! 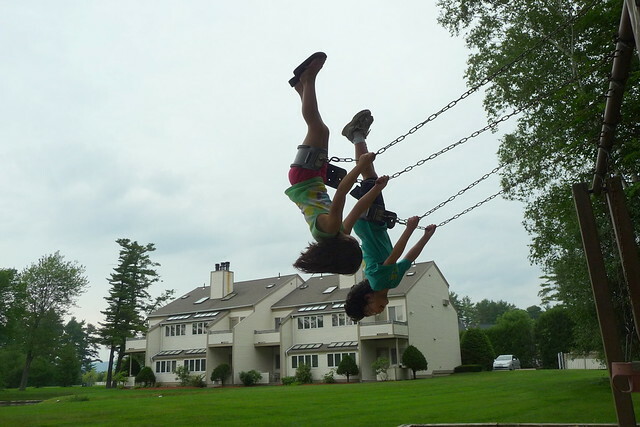 Synchronized swinging!! I love these kids, they will try just about any physical photography challenge I come up for them. Terrific swing and beautiful shots.